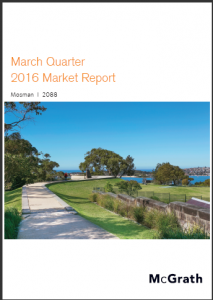 As an experienced real estate agent in Sydney’s Lower North Shore I like to keep abreast of property performance in all areas and Mosman is an important suburb hugged by beautiful Sydney Harbour and the gateway to Taronga Zoo as well as Sydney’s spectacular Northern Beaches. If you would like to receive instant access to up-to-date property market performance and statistics enter your details below and then check your email. I also keep a regular blog and have created a series of educational videos about all aspects of property transactions. Situated eight kilometres from the Sydney CBD, Mosman is a collection of bays, coves and headlands dotted along the Middle Harbour foreshore. It was named after Archibald Mosman, the original landowner who set up a whaling station in 1831, although it’s history dates back as far as 1789, when the First Fleet entered Siruis Cove. Throughout the Second World War, Mosman also played a crucial role in protecting Sydney Harbour, as the site of the northern side of Sydney’s anti-torpedo and submarine defence net, the 21st Australian Auxiliary Hospital, and the HMAS Penguin naval base, which remains the only military presence left on Sydney’s North Shore. Mosman’s unique blend of natural beauty and historical significance has made it one of the most sought-after suburbs on the Lower North Shore. The area has great access to the CBD by bus or the Mosman Bay Ferry Service, a number of parks and ovals, a wide array of high-quality schools, including Queenwood School for Girls and Mosman Preparatory School, as well as a thriving shopping district which extends from the Bridgepoint Shopping Centre at Spit Junction, down Military Road, toward the intersection at Bradleys Head and Middle Head roads. If you have some real estate in Mosman and are looking for a sales agent to help you sell your property, then please make contact to speak with us or watch our education videos where we share some tips for property sellers and buyers. Learn more about the Suburbs in Sydney’s Lower North Shore.